Lena is looking forward to a fun-filled senior year. Her biggest concerns are her crush on her next-door neighbor Sebastian and whether they, as a couple, are on or not. A near-kiss becomes the central crisis in her life and she seeks solace and advice from her friends. But then, tragedy strikes at a party where some bad choices are made and Lena finds herself the sole survivor of a car crash. Of her friends, three are now dead. Lena herself, while alive, has to face serious injuries and a difficult readjustment. And then come to grips with the loss and her grief. Ironically, it is Sebastian who will become her means to reconnect with her life, as he becomes far more than a crush. 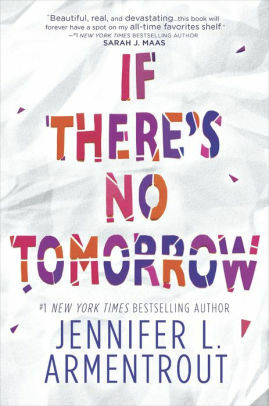 While this certainly contains the sort of meaty material that could drive a good book and is well-written by an experienced YA novelist, the novel is a strangely lifeless affair. Lena is a decent enough character but there's just not much depth here. And the writing, while pretty good, doesn't really stretch beyond competent storytelling. Death and grieving stories have been told before and this one doesn't add much in new insights or present the story in an aesthetically interesting way. It's not a bad read, but it doesn't stand out in any particular way.